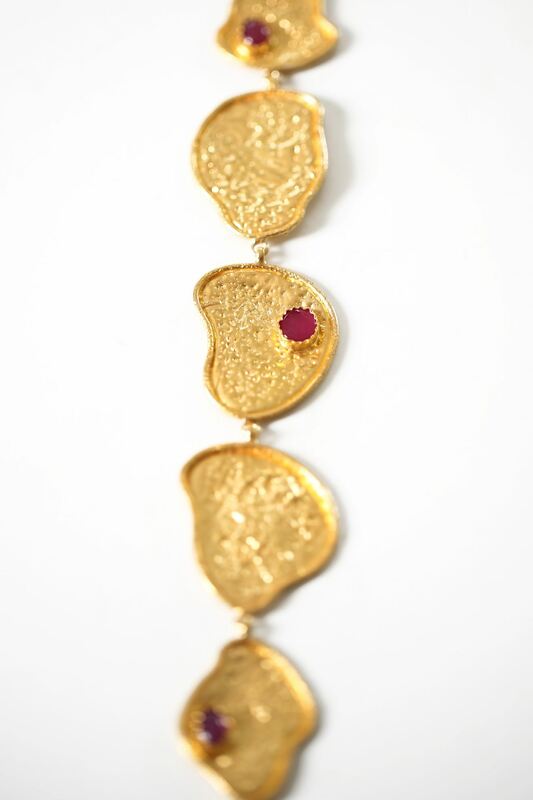 You can't go wrong with rubies on gold for a festive ensemble. 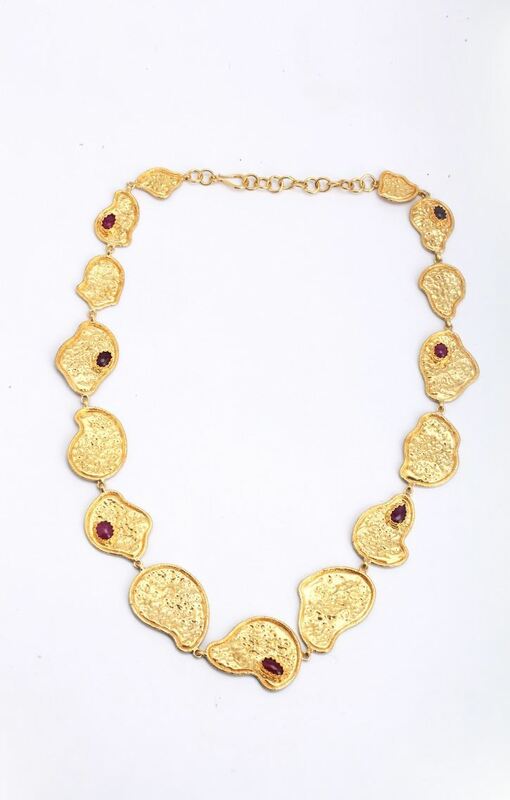 Pair this unique necklace with a dress or with your ethinic attire. Add on earrings to go.